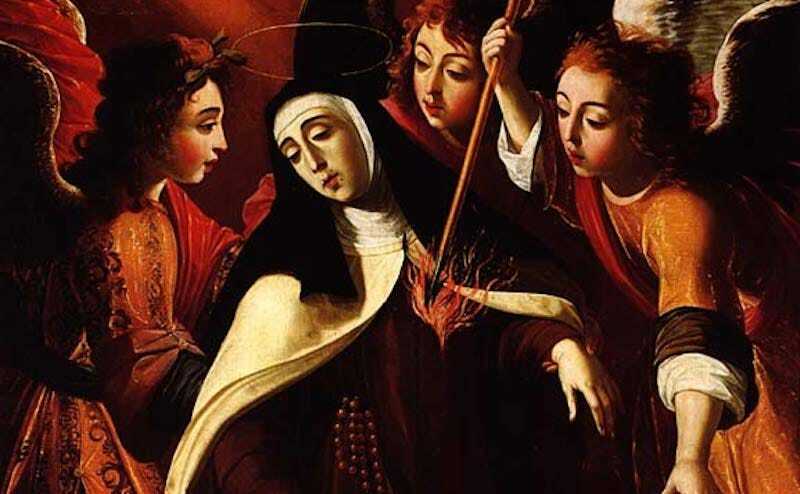 “I am not Catholic,” wrote Jessa Crispin on Saturday at the New York Times, “and yet I find myself drawn to the women saints. There is something about them that I admire. Maybe it is simply the lengths to which they went to avoid marrying.” Same. It is wonderful and rare to be in a city centered on a woman writer. There are many statues and sculptures of St. Teresa throughout the town, and most have fresh roses dropped into her lap every day. In almost all of them, she is holding a quill. Fresh cookies, frosted in her likeness, fill the windows of the bakeries. Everything in town is named after her. The plaza, the streets, the schools, the churches, the cafes, the parking facilities. [Teresa] did not have to remove any body parts to stay unmarried, nor murder scores of men. She did have to defy her family, though. As well as what she thought she wanted out of life, which was love. But she had watched her mother slowly die through pregnancy after pregnancy, her body weakening with each child, and she saw that this was her wifely duty. Teresa did not want to be reduced to merely a body, bred and sacrificed for the sake of her husband and children. If she had to choose between being a body and a brain, she would choose to be a brain. So she entered the church — the only way a woman could become a philosopher. It’s a truism that you lose out on something by remaining alone; it’s less acknowledged that you often do, too, by loving someone. In this whole beautiful essay, here’s the part that I’m still thinking about. It’s hard to get people to understand why a woman would ever choose to live a life alone. We no longer have to choose between being a brain and a body, but I can’t help but think that we lose something when we couple up, and maybe that thing is worth preserving.